I heard someone say that email is dead. For them and their generic content, that might be true. But for those of us that know the tricks of the trade, email is very much alive and well. 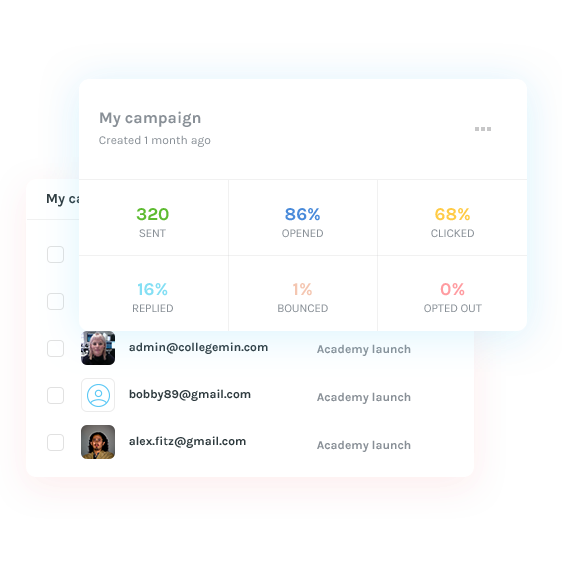 Today, we're bringing back a tool that will help automate your campaigns with personalized emails and skyrocket conversions. lemlist gets B2B companies new customers through automated outreach campaigns with personalized and hard to ignore content. 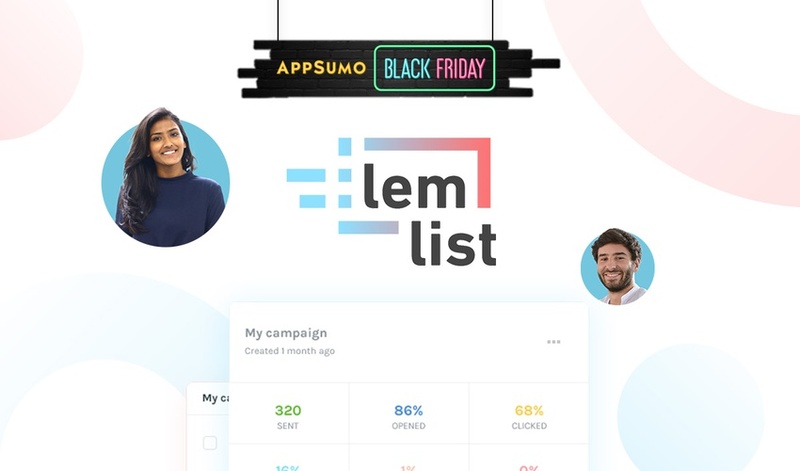 lemlist gets the campaign train rolling with a conversion-optimized templates and images for initial emails, follow-ups, referrals, and sales emails. Turning these templates into personalized emails can be done in just a few clicks! Say bye-bye to rewriting the same emails over and over. Once you upload your recipients, you're gravy. Ok, but how NEAT is that name change on the cup?! lemlist is the first email automation platform that allows you to automatically generate personalized images. You can include a company logo, company name, employee name, custom text, etc. on each image. You’ll also be able to track opens, link clicks, and replies so that you can see progress and forecast revenue. People are using the lemlist Image Plan (formerly Gold Plan) to improve their press outreach, SEO backlinking, and B2B sales. And, during this Black Friday Madness, you can steal lifetime access for just $49! $49 for an outreach tool that handles initial contact and follow ups? Yes, it’s happening. To have even more lemlist fun, stack as many codes as you want! Each code lets you add an additional user (another email address) that can send 250 new emails per day. Get your outreach on with lemlist now! If you’re tired of hitting 'send' and praying for the best on your cold emails, then lemlist is exactly what you’ve been looking for. They've done the heavy lifting of next-level personalization so that entrepreneurs like you can have a much better ROI on your outreach. Get lifetime access to lemlist! P.S. Don't forget about our other amazing Black Friday deals before they expire at 11:59 PM (EST) on 11/23/18! SocialBee: Schedule posts, grow a following, and automatically engage with your audience through one killer tool. Access is typically $1,764, but you can grab lifetime access for just $49! vooPlayer: Securely host videos, edit fully customizable interactive players, generate leads, boost sales, and so much more. The Pro License usually costs $228; however, you can snag lifetime access for just $79. Depositphotos: Get access to a library of 80M+ of the best stock photo images available on the world-wide web. Each code is $49 and gives you 100 royalty-free image and vector downloads, and there's no limit to how much you can stack.